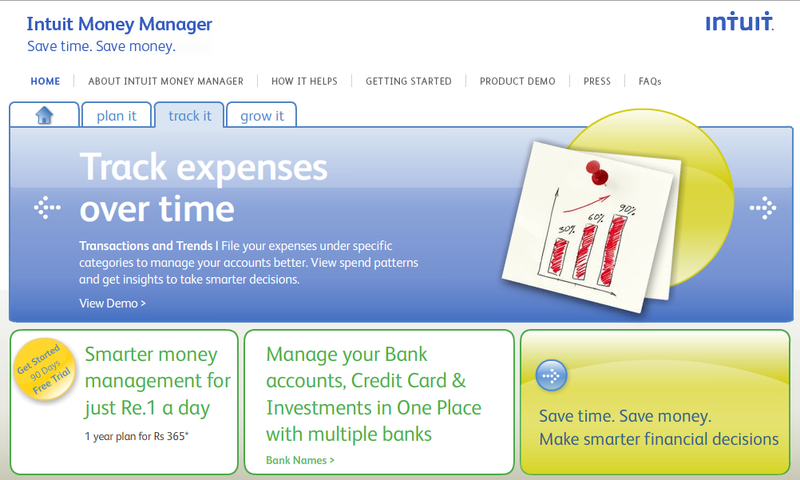 Intuit Money Manager for India | Globonomics! It’s here. 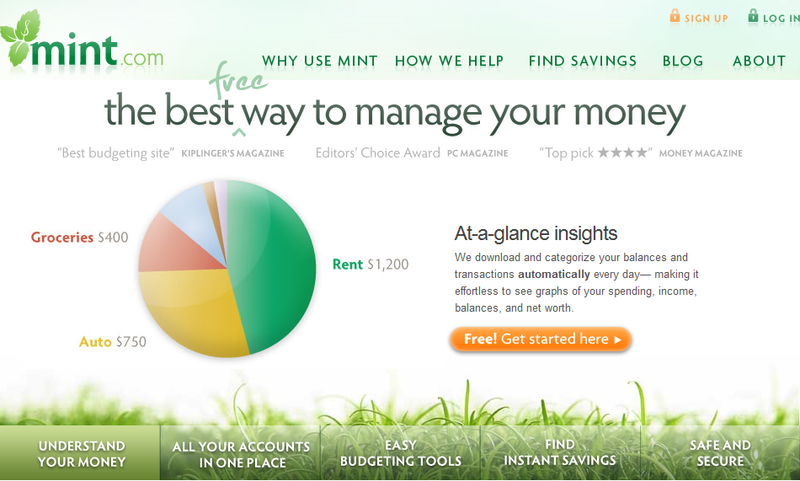 The Mint (http://www.mint.com/) acquisition by Intuit earlier in September 2009 (Source: Techcrunch) led the way for Intuit to launch a similar web based product in India. Intuit has its resolve to move away from the shrink-wrapped offerings to web and cloud based product line. It’s popular product line of Quicken (http://quicken.intuit.com/) and QuickBooks – http://quickbooks.intuit.com/(for SMB’s) will probably move more and more towards the cloud model. I had come up with a similar product concept way back in July/August 2009 when it came to Personal Finances but then realized that Intuit and Moneycontrol.com had beat me to it. Morever, such aggregators of personal finance have to be priced optimally (in this case, about Rs. 1 per day) and hence the only way is by trying to get into volume sales to cover the cost of product development. I have the trial of this web based product and have to see how it works for my needs. Will post a detailed review in a few more months once I am used to the workings of this. Checkout http://www.arthamoney.com and http://www.perfios.com too. Request you to please share your email address. Intuit Money Manager is doing some kind of large scale marketing in India — they even advertise in FM stations. I have checked mint, product is best. For me the interesting thing is pricing model – 1 Rs per day, one more smart business to target indian mass market. The success of the product is depend on how much people use money transaction digitally(using card or online), since the product categories digital transaction data into a chart in an user appealing form. By looking at the pricing model they want to target mass but I am not sure what is the percentage of user will be doing digital transaction is a concern. According to me they are much ahead of the indian market need. Thanks for talking about Intuit Money Manager! I represent Intuit and I’d like to clarify a few things. To Girish: You are correct about the pricing model – we are targeting the mass affluent people in India that use online banking. This population is over 10 million in India and constantly growing. However, we are seeing huge traction in the last two months since launch – so there is a big need here in India. Let me know how your experience has been with Intuit Money Manager. I thought of using intuit.. But my doubts is as below..